Purchased in 2010, the repaired and rebuilt. A great collectors item in excellent condition. 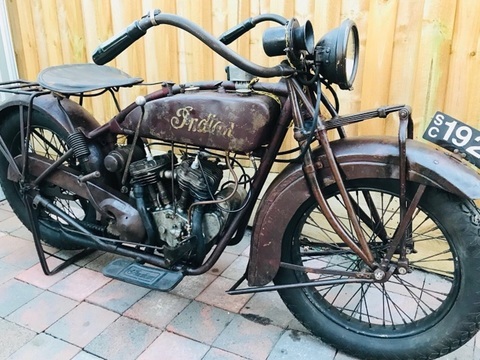 "MUST SELL..FIRST COME IS THE WINNER"...THIS CLASSIC IS IN PERFECT CONDITION IN AND OUT".NEW BRAKES, TIRES, SANDLE BAG, TRUNK, TUNE UP..
A rare opportunity,I am pleased to be able to offer this magnificent original condition 1927 Model G Scout. It has new tires, wheel bearings have been inspected/serviced, generator serviced, (is working, including the original cut out!) New chain and sprockets. Tank has no leaks! It runs beautifully and is mechanically very quiet. 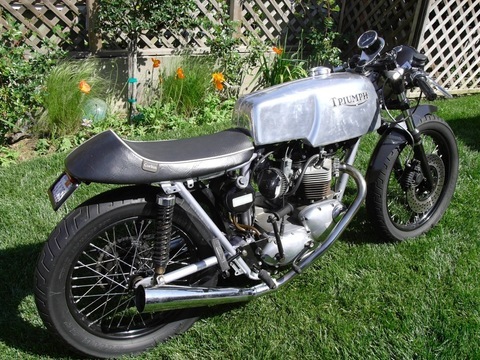 It’s condition is extraordinary for a 91 year old motorcycle! Matching engine and frame numbers. T120RDU35509 Hand made aluminum take by Evan Wilcox Hand Formed Metals. Ceriani Forks. Brembo front brake. Corbin seat. Powder coated frame, wheels and many other parts. 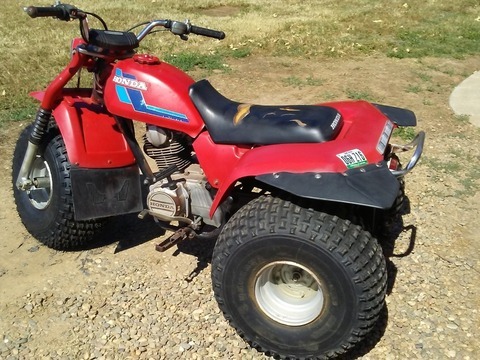 Maier front and rear fenders, brand new front tire, rear tires have little wear, trailer hitch, Uni Filter 2-Stage Air filter, headlight works, taillight does not, seat cover is split, nylon ATV cover, pink slip, and registration paid for 2018-19. Located near Sacramento, CA but travel to Boise, ID frequently. Will work with you on delivery if possible. Priced to Sale! Only 40 hours of ride time! Like New! New Race Tech shocks (front & rear), new skid plate, new RK chain gold/aluminum rear sprocket new moose racing pro shark fin disc protector, new Renthal Faboy handle bars, new FMF exhaust. Priced to sale and by appointment only. 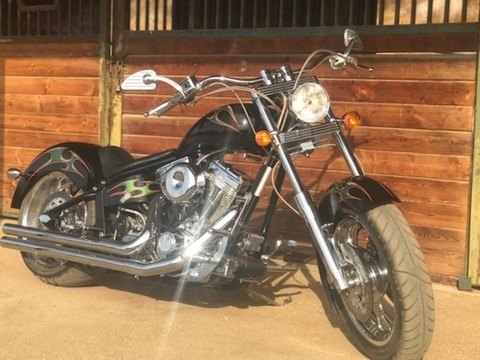 All included in sale this bike will not last long at this price! 1 day WILL BE scheduled for viewing. There will be more than one prospective buyer viewing and will take best offer. 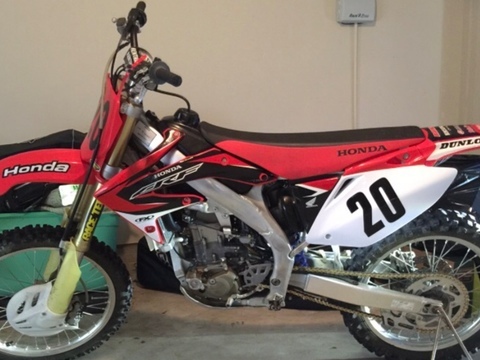 HONDA CRF 450R is ready for a new owner, to ride at the track or off road racing. Cash buyers only. Includes all used gear (helmet, chest/rib protector, boots, elbow/pads, trave bag all FOX brand). 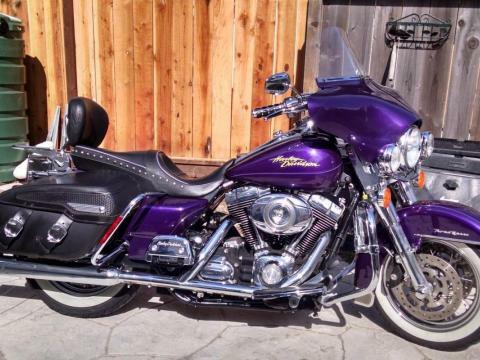 With upgrades and hours of riding this beast is priced below NADA suggested sales price. 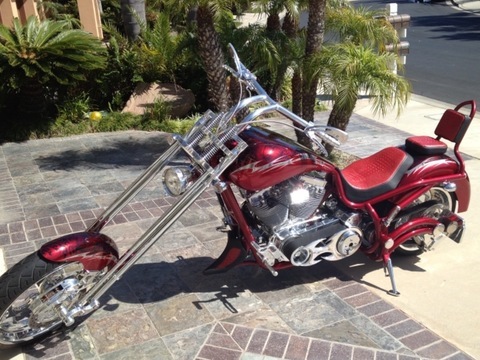 $12,500 2003Vengeance Vindicator, with only 660 miles on it! Previously a Vengeance show bike. Black with air brushed flames and pin stripped boarder. The motor is a Super Stock 113" S&S with a 5 speed transmission. 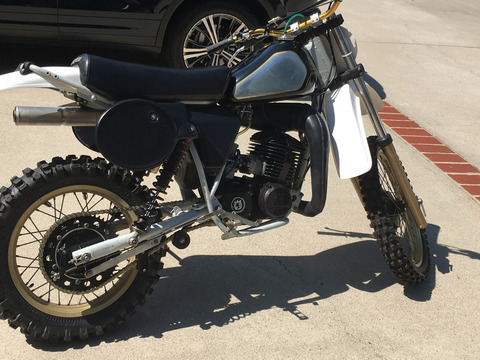 Front brakes are twin 12" Brimbo hydraulic brakes with a 120/90-18mc71H front tire , the rear brake is a 12" Brimbo with a super wide rear tire 250/40R18 mc81H. Both wheels mounted on custom billet Aluminum rims. The shifting and brake controls are also billet Aluminum with custom Vengeance side cases . 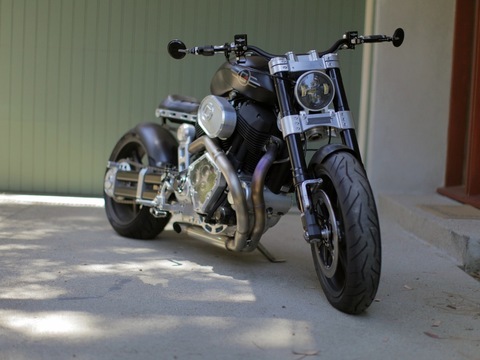 The bike is a beautiful piece of art from front to back with unbelievable detail. 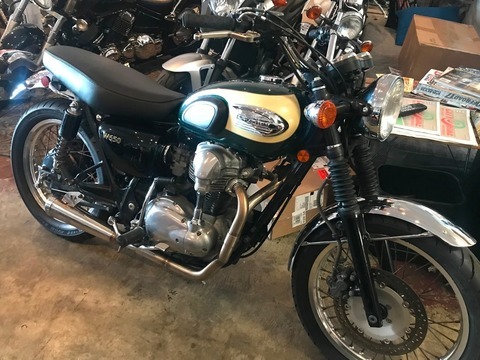 Its a beautiful bike and a joy to ride . New 1800 CC engine with rebuilt fully automatic transmission. Very few miles on the drivetrain. Runs like new! 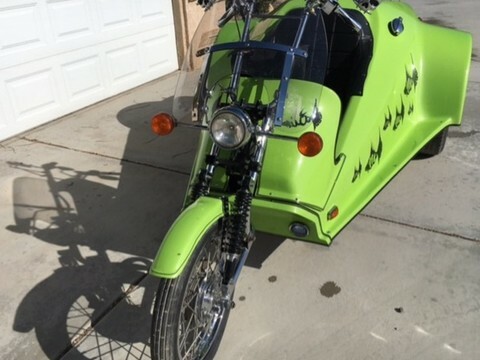 New interior, including all gauges, luggage rack, trailer receiver. Original Ed Jacobs design featured in The Wall Street Journal. A work of art and power. 132 hp. 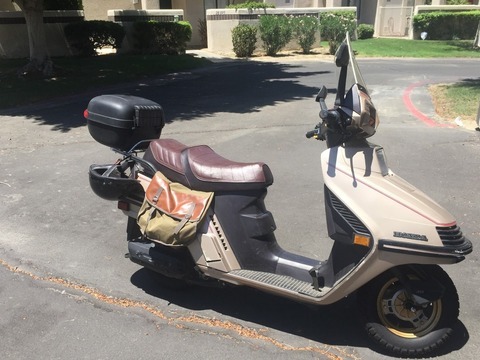 Original owner, always garaged, low miles, custom color, Corbin seat, lowered suspension, hydraulic assist clutch, color matched batwing fairing. Lots of chrome. 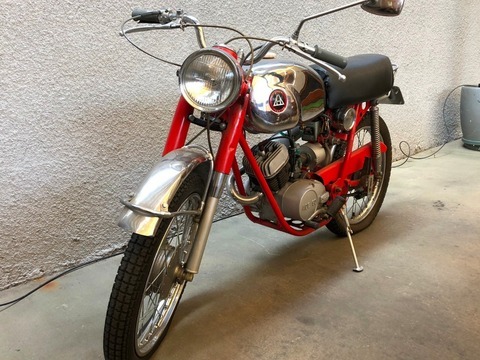 Original windshield and seat are available. 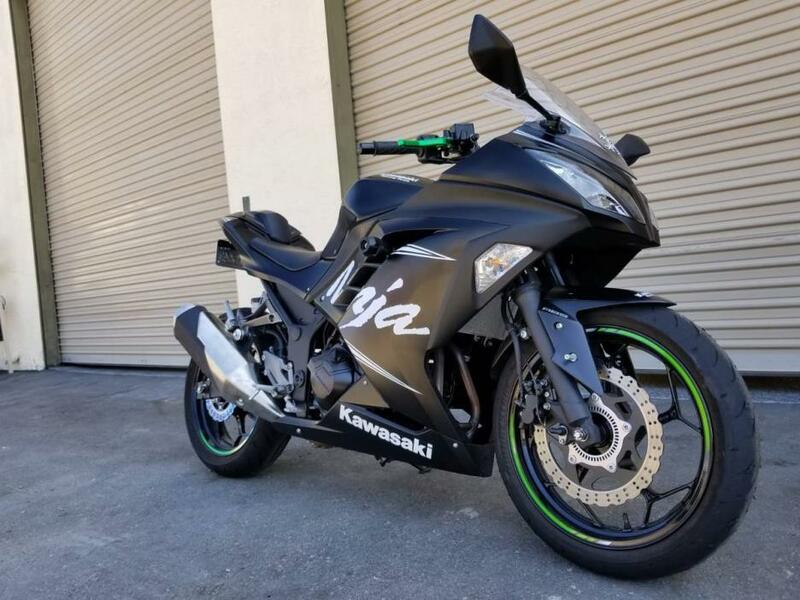 2015 Yamaha R3, Excellent ConditionWe finance all credit levels!The Yamaha R3 is a welcome addition to the sub-500cc class long dominated by the Kawasaki Ninja. The R3 brings fresh design, modern looks, and performance to the market. With a new 321cc engine putting out over 41 horsepower to the wheels and slightly above 21 ft-lb of torque, the new R3 comes with ample power to justify the sport looks and riding position. As an entry level sport bike, Yamaha has designed the steel diamond chassis and KYB suspension to provide a softer ride than the R3 s older sibling in the R6 making it ideal to soak up everyday street conditions. The 30.7 inch stock seat height makes the R3 very accessible to riders of all heights, and taller handlebars allow for a more controlled upright riding position that will instill confidence in new riders. Yamaha s R3 hits every critical area that an entry level sport bike should offer with a comfortable, upright riding position, smooth handling, great fuel economy and modern styling. All of this is backed by an impressive 321cc fuel-injected engine that outpaces the 250cc and 300cc competition. 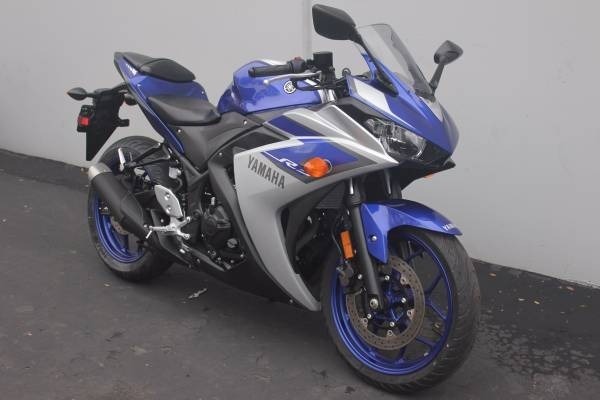 Riders looking for a stylish, lightweight and beginner friendly motorcycle with all the performance to justify its sport bike classification should strongly consider the Yamaha R3.